Over on the IO blog we are featuring some of our older stamps. Today, I am featuring one of my oldest stamps - Peony Blossom! This stamp must be 15 years old and stamps beautifully every time. Cling stamps are so easy to use especially with a MISTI. To start, I ink blended some Shaded Lilac Distress Oxide ink with my second largest blender brush onto a panel of 4.25 x 5.5" of Neenah Solar White 80lb card stock. I then splashed on some Dazzling Diamonds and a splatters of white paint. 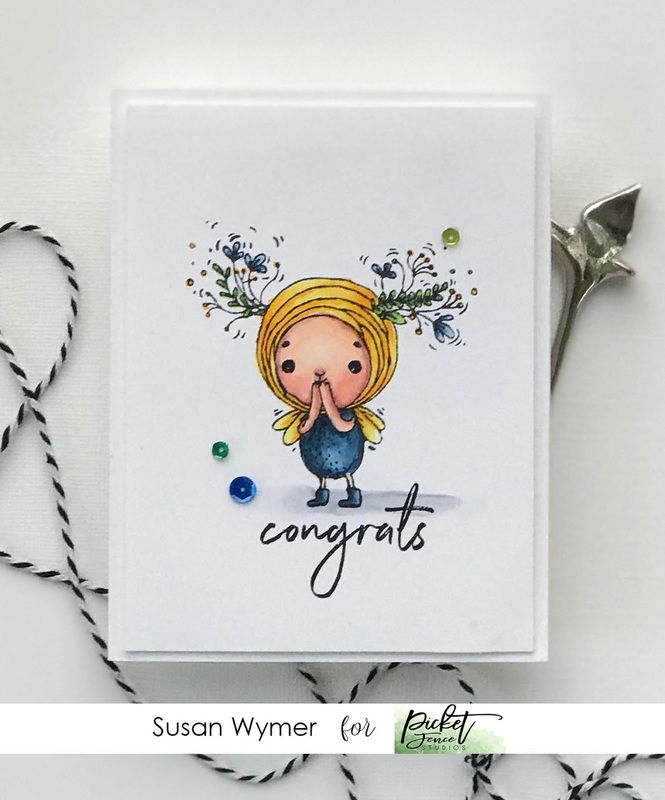 I stamped the blossoms onto Neenah Solar White 80 lb card stock using my MISTI and Impression Obsession Hybrid Black ink. For the blossoms, I pulled out soooooo many Copics. I will try to list them below but results may vary lol! I then fussy cut out both blossoms and arranged them with the leaves that are from Tree Peony Bouquet. I used a lot of different green markers for these as well. I die cut Happy from some charcoal 110 lb card stock and also heat embossed the birthday strip with rose gold embossing powder. Blossom: R0000, YR0000, RV10, RV56, R12, R46, RV11, RV13, R20, R32 and ???? Thanks for stopping by and don't forget to head over to the IO blog for inspiration! Links to products used: I am using compensated affiliate links at no further cost to you. I received the die cuts as part of my design team work for Impression Obsession. 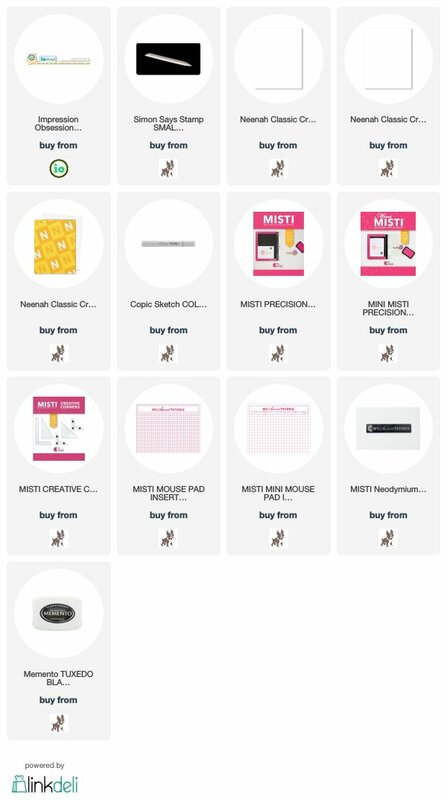 I am on the My Sweet Petunia Design Team and purchased the MISTIs at a discount as part of my work for MSP. I received the My Sweet Petunia Cut Align as a gift. As with every list of products, I love and use all of these products. 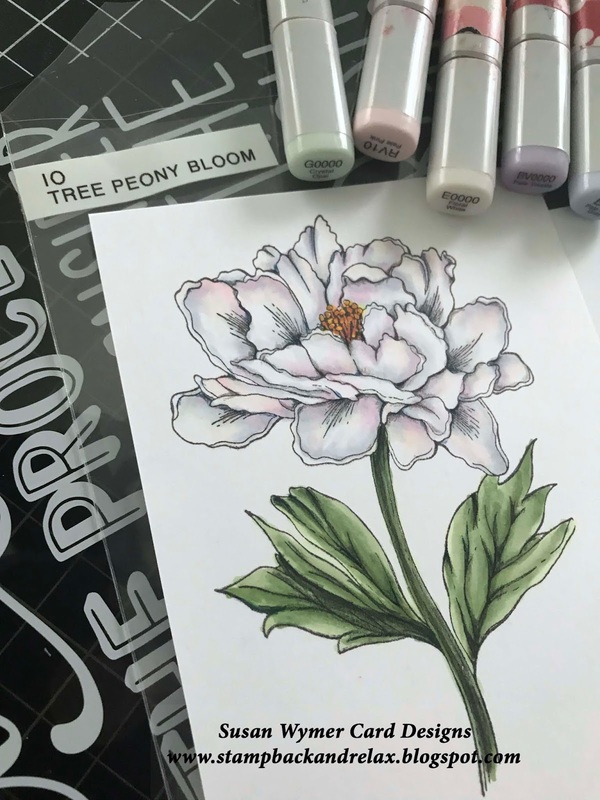 I have been working on this Tree Peony Blossom for awhile in order to practice shading white flowers. I really wanted to use different light shades of Copics to make a dappled looking white flower. I still need to work on this "technique" because I have a picture of my Grandfather's white roses in mind as well as a painting in my mother in-law's apartment. White flowers are really just not all greys or browns or stark white. I will keep practicing. Meanwhile, go have a look to see what the other IO designers have made over at the IO Blog. For the background, I ink blended some distress oxides and distress inks with my blender brushes and then splattered the panel with water and Sheer Shimmer spray. 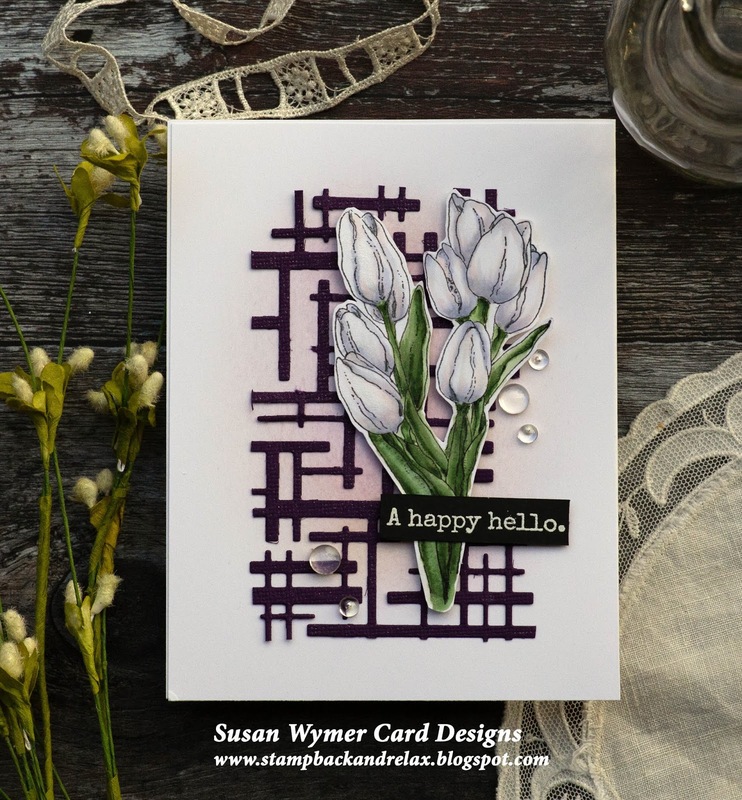 I popped up the flower and added the two white heat embossed sentiment strips. I also added some Pretty Pink Posh clear droplets. YR0000, E0000, B60, BG0000, RV0000, RV10, BV0000 and perhaps others. I did add some pencil detail using my Prismacolor and Polychromos pencils - mostly Indigo Blue and Black and 90% Cool Grey. I tend to play when I do these so I don't write everything down. Thanks for stopping by! 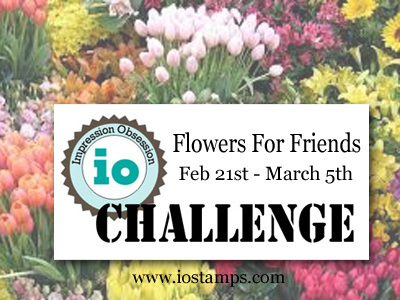 Go make a card using IO products and enter to win here. Products Used: I am using compensated affiliate links at no further cost to you. I do make a small commission with each sale, and I do appreciate your support. 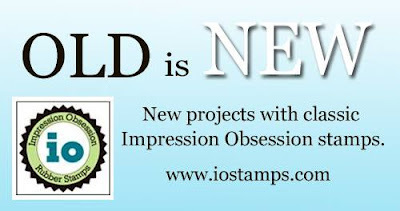 I received the stamps as part of my design team work for Impression Obsession. I was given the My Sweet Petunia Cut Align by a friend but I am also on the My Sweet Petunia design team. I only use products I love and that I think are of the highest quality. 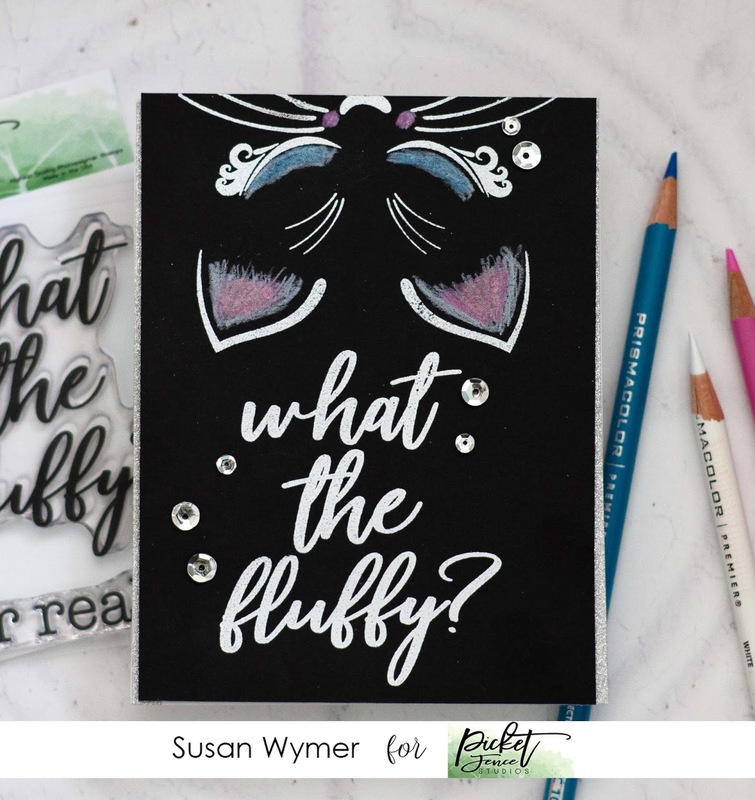 Hi, Today is Die Cut Obsession Day over at the Impression Obsession blog - go here to see what the other designers have made! I chose to use Impression Obsession Patchwork Elephant as I needed a baby girl card. The final card is 4.25 x 4.25". The small size of this die allowed me to make a cute card with the paper arranged in a whimsical fashion. I used an old pad of 6x6 paper. 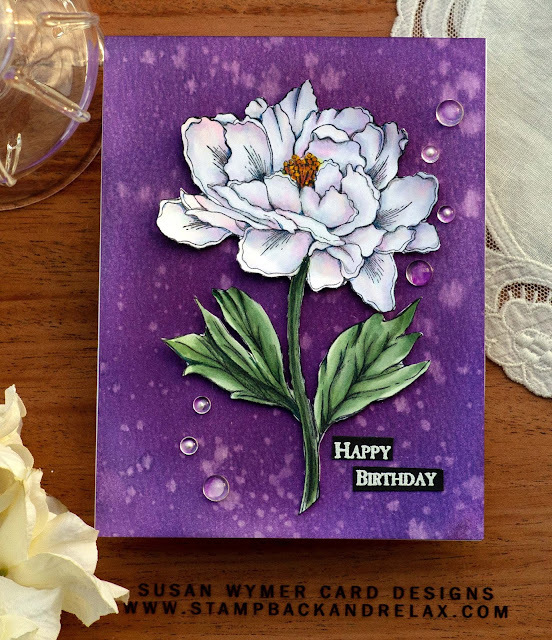 To make the background I used our Clouds Cover-a-Card background stamped in Worn Lipstick - I think. It might be stamped in Spun Sugar Distress Ink. I did pop up the face and ears with foam tape to add some dimension. I added a few light colored sequins but I am not sure where those are from either - yes I am scatterbrained. I make a lot of backgrounds ahead of time so that explains the ink problem lol! 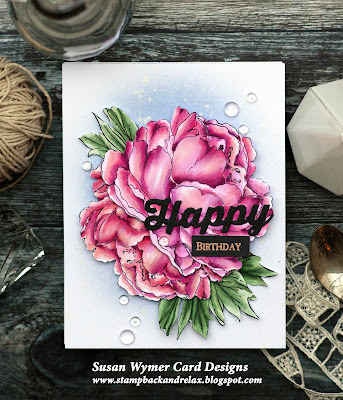 The softness of the Clouds background was perfect for this card. The sentiment is from Life Stuff Sentiments. I stamped it onto Neenah Solar White 80 lb card stock using Versafine Onyx Black ink. I cut that thin strip with the new My Sweet Petunia Cut Align - not sure how I crafted before without that tool. There are a lot of other Patchwork critters - go have a look! I am not sure why I - a Gator's fan - do not have the Patchwork Gator but I will be rectifying that soon! Head over to the IO Blog to see all the beautiful cards! Products Used: I am using compensated affiliate links at no further cost to you. I received the die and Life Stuff Sentiments as part of my design team work for Impression Obsession. I have owned the Cover-A-Card Clouds background for years. I love and use all of the products I list below. I am back with another card for the Picket Fence Studios February Release. I love this set Shop Hard because of all the great images and the sentiments. This is my favorite. My mom loves to shop and yes, this is how she gets her steps in lol!!! I used Pinterest to scroll through a series of fashion drawings and decided upon this layout. I used 3 basic colors - aqua, magenta and yellow. I listed the Copics below. I did add Glossy Accent details to each of the purses and shoes. I had to add texture to the various pieces because one of my RV markers splooged on the middle girl's shirt. I do need to work on my shading especially on the skin so I will most likely pull this set out again! Products Used: I am using compensated affiliate links at no further cost to you. This means I make a small commission from each sale. I did receive the stamps as part of my work for PFS Design Team. I love all of the products I use. 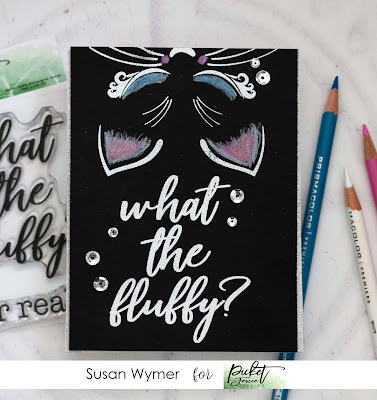 Picket Fence Studios February Release - What is fluffy and what is a succulent? 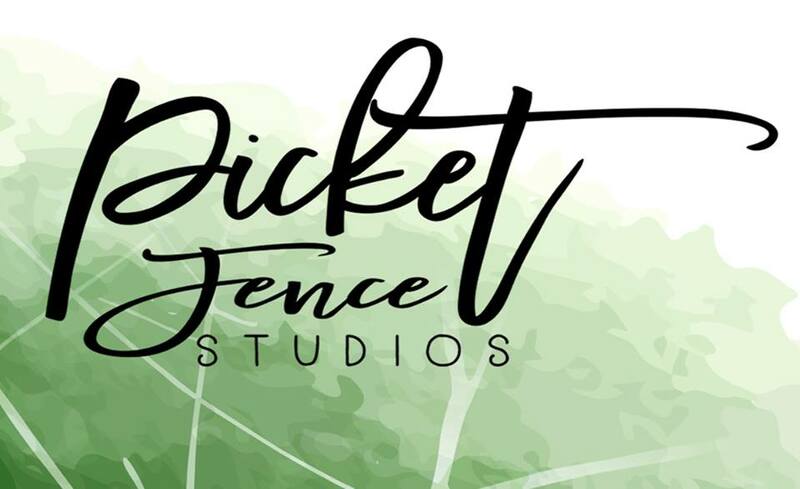 I have two cards for today's opening of release day for Picket Fence Studios. If you are only seeing one, stop by later and I will have the other one up. It has been quite the month here and chaos ensued. So inspired by the chaos in my life, I tipped this kitty Olivia Kitten upside and hung her from the top of the card. A dear friend has a cat who is often hanging upside down just because he likes it. So no worries, no real or stamped cats were hurt in the process of making the card. 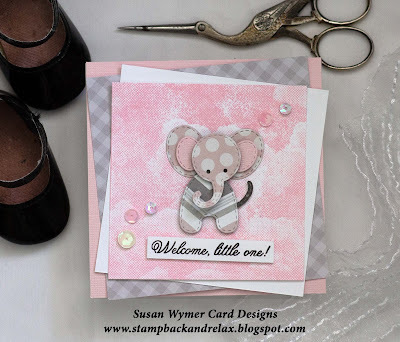 I stamped her in Versamark Ink and used white embossing powder. I then stamped the sentiment from What the fluff in Versamark and embossed that. I added details to Olivia using a white Prismacolor pencil and some shades of pink and blue. The succulent blossom card was inspired by a display of wedding flowers at a resort we were visiting and by this pin of cascading succulents for a table display. 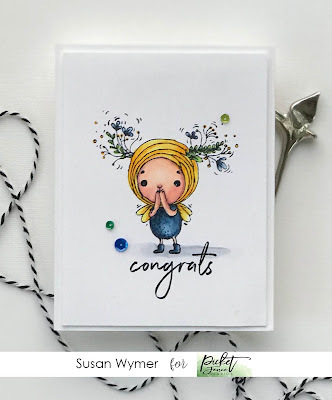 I stamped all the blossoms in Picket Fence Studios Hybrid Black Ink and colored them in with Copics. I did use some old sprays for my background so I won't have links for those. Then I die cut each image and made my spray of succulent blossoms. I love this one so much I will make more! Oh and I cut the strip with my MISTI Cut Align! Hi, I don't seem to be getting much done for this coloring challenge lol! I have been coloring though. Since this Tree Peony Blossom from Impression Obsession might not be a card for long time, I thought I would post it anyway. 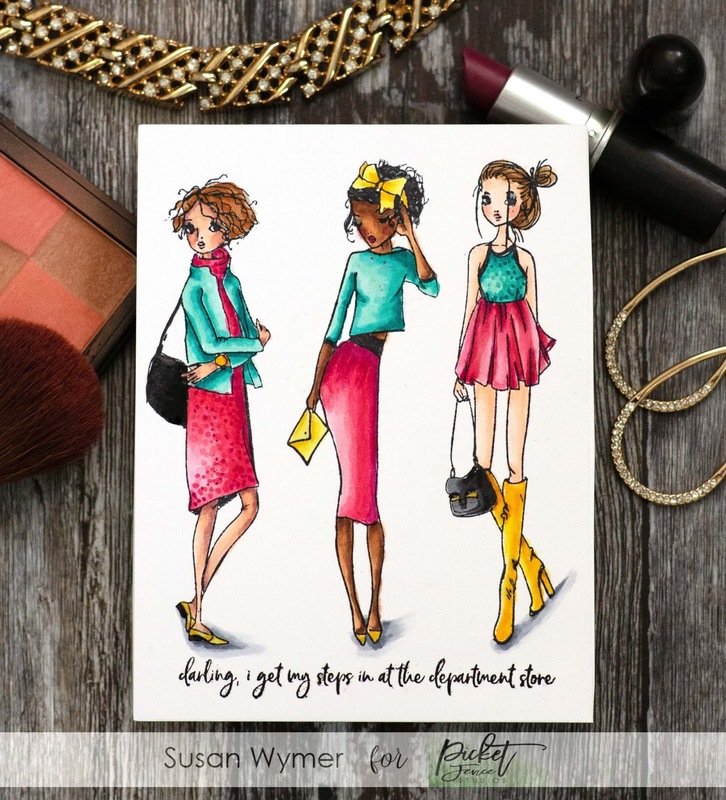 I follow Dawn Woleslage's video on Copic Coloring - it can be found HERE. I do change it up a bit on coloring the leaves and I do add black or indigo blue colored pencil into the "nooks and crannies". I always use a very SHARP pencil which is Kathy Racoosin's favorite kind of pencil! I used a ton of Copics listed below. I used a lot of colors because sometimes white flowers in the right kind of lightly and especially if they are with other flowers of different colors can have other light colors in them. Flower: BV0000, RV10, C0, B60, YR0000, E0000 and G0000 as I was going for a mostly white flower. Leaves: G20, G24, YG61, YG63, G40, G43 - I think....sorry. It is the first day and of course, I haven't colored yet lol! But I did have this spare card I made in December. My mom was sick and I was traveling with minimal supplies and needed a very quick card. I used Picket Fence Studios Proud of You Sunshine Critter. I quickly colored her up with Copics and popped her up on a card and added sequins. I would list the Copics I used but I cannot even remember! But this was so easy. Supplies Used: I am using compensated affiliate links at no further cost to you. Affiliate links allow me to receive a small commission from the companies linked below. Thank you for your support!